A real sea monster! LOOK at the size of that mouth! 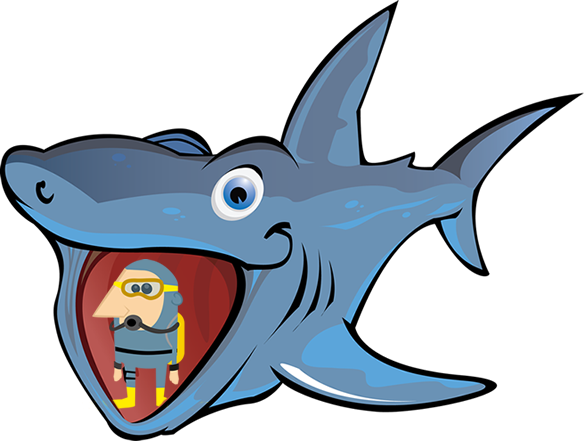 You could stand up inside the mouth of a big basking shark, not that you would want to! This basking shark is eating millions of tiny shrimp called plankton. It does not eat fish, jellyfish (or people)! 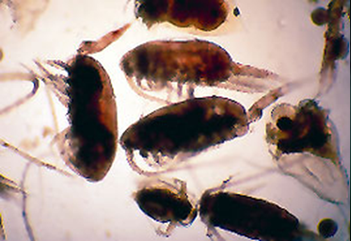 These are shrimp from the plankton. Each one is smaller than a rice grain, smaller than an ‘o’ on this page. 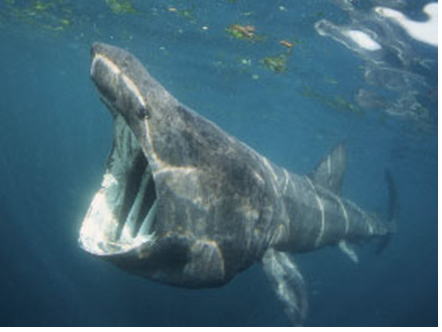 Basking sharks have to eat MILLIONS of them every hour. See.one basking shark eating plankton, not interested in people! But your imagination could run a bit wild sometimes if you are silly enough to get close! so what to look out for …. 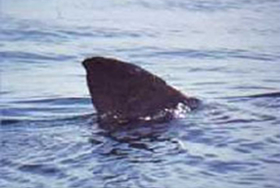 Sometimes you only see the basking shark’s dorsal fin. 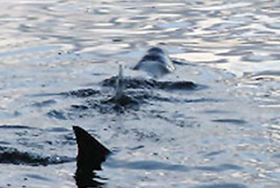 You might be lucky and see the nose, the dorsal fin AND the tail fin. This makes it easy to tell how big the basking shark is. The big white mouth can be the first thing you see under the water. This basking shark has a floppy dorsal fin. You can look for basking sharks from the shore. 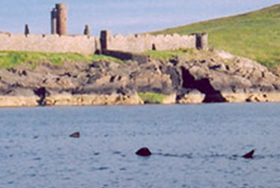 These sharks are close to Peel castle. Some people are VERY lucky. 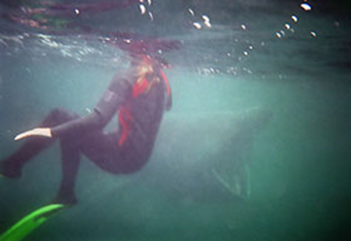 They get to SWIM with basking sharks. This has to be done with GREAT CARE as you do not want to disturb their feeding. 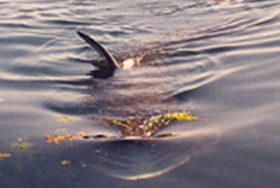 This is a very small, young basking shark. Phew! That is a BIG fin! 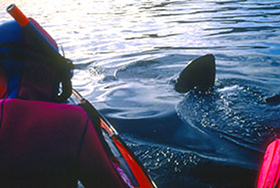 Sometimes you see people kayaking near to basking sharks off Niarbyl on the Isle of Man. 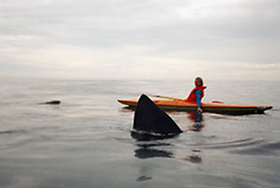 They do not paddle when a basking shark is near because it might disturb it. high, taller than a man!